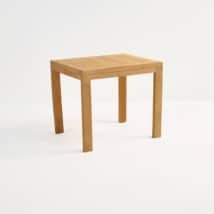 So simple, and yet so chic; the Teak Nesting Table (Medium) is a table that can be used anywhere! Whether inside or out, as part of the ‘Nesting Collection’ or by itself, you’ll be thrilled by how useful the Teak Nesting Table (Medium) really is! 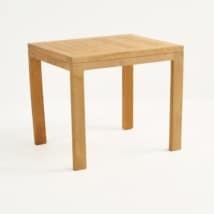 Part of the wonderful range of Solid A-Grade Teak Nesting Tables; the Teak Nesting Table (Medium) is a great Side or Coffee Table. 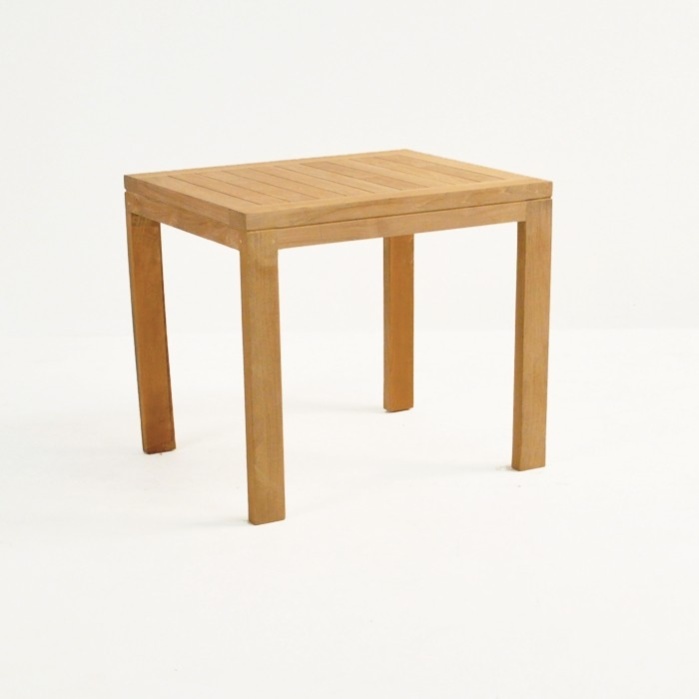 Combine with other sizes of teak nesting tables for convenient storage and style. A simple rectangular design featuring a solid wood frame and horizontal slatting on the tabletop, the Teak Nesting Table (Medium) measures 13 x 19 x 18 inches, the perfect size for drinks or tapas style foods! W13" x L20" x H18"
The Teak Nesting Table (Medium) is made out of the best wood for outdoor use as well as indoor – A-Grade Teak. 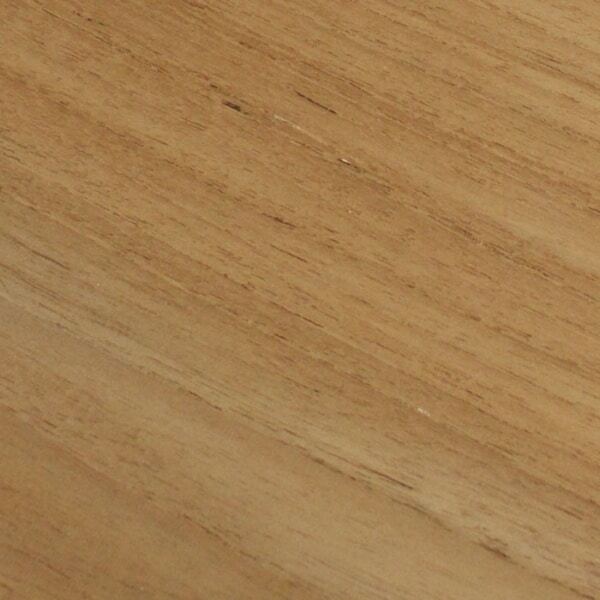 We are proud to make the vast majority of our wood furniture out of this highly regarded product. We cut the A-Grade Heartwood from the teak trees, once the wood has reached at least 40 years, which means each piece of furniture stronger and more durable, it also aids the sustainability of the plantations in Indonesia where we source the wood. A-Grade Teak builds the most beautiful furniture, and it is refreshing to know that it is not something you will have to replace in a couple of years. This product can last a lifetime! At Teak Warehouse, we are proud to offer A-Grade Teak as well as several other products superb for outdoor use! Choose from our amazing inventory of loungers, deep seating, day beds, relaxing chairs, dining sets, shading options, planters and, of course, accent tables, and all in a fabulous array of material options: #316 Stainless Steel, Textaline® or Batyline® mesh, Raw Concrete, Reclaimed Teak, Aluminium, Resin and Sunbrella® fabrics. We are the experts in outdoor furniture for a reason: we love providing our customers with marine grade furniture that will add luxury and beauty to your space as well as being excellent quality. At Teak Warehouse, we pride ourselves on our efficiency and customer service; if you need a quote, have a question or just need some more ideas for your space. Our team can help! Open 7 days from 10am, either email or call us and you will be well on your way to getting a divine outdoor living area in no time! Place your Teak Nesting Table (Medium) on either side of a 3 Seater Sofa in Teak for a classy alternative to a coffee table, ideal for resting drinks on in between chats. Have some relaxing or rocking chairs? 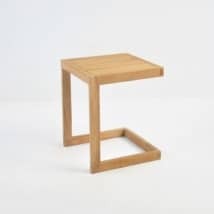 Put one of the Teak Nesting Tables (Medium) in between two chairs for a perfectly proportioned side table to hold your drinks and snack plate! 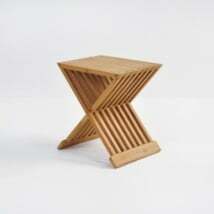 The Teak Nesting Table (Medium) is an ideal side table for a bedroom or in the living room. Leave it raw, or stain it a color to fit in with the tone of your space. Make a fabulous tiered coffee table with a Teak Nesting Table in each size: small, medium and large! Enjoy how they all tuck into each other or create a fantastic space for serving casual dinners and drinks. Our Teak Nesting Table (Medium) is a stock item for your home or garden – enjoy the simple style of this strong, stable piece.